With our global office based in Sydney, the Australian team frequently collaborate with government, local councils and corporates to design sustainability-led projects, unique events and experiences that educate, enrich and inspire change within communities. VOPO is working with Indigenous Land and Sea Corporation (ILSC) to support the design of a wilderness impact expedition on the magnificent and vast Fish River Station, Labarganyan. A 178,116 hectare property on the mighty Daly River, breaking new grounds in nature conservation in Australia. Our Australian team learned directly from the elders and community of the challenges and rich beauty of Labu. Currently co-designing invaluable experiences for the world to access the wisdom of Australia’s first people. Campfire Illaroo was an unforgettable weekend event, bringing together revered Yaegl elders of the Yuraygir region, stargazing with an indigenous astronomer, painting outdoors with a renowned Aboriginal artist and a guided ecology walk with a local expert for provocative workshops, intimate camp side discussions, bush tucker, barrels and an uplifting off-grid weekend in nature for wilderness enthusiasts. The annual event supports the work of National Parks and Wildlife Services, while generating income for eco-tourism businesses in the region. Charlotte Rose Mellis, Co founder of VOPO Earth represented Global Sisters as a guest facilitator for the week long Natures Leading Women event in Brisbane, Australia. The event, presented by The Nature Conservancy brought together female leaders from across Micronesia, NT and Polynesia, Papua New Guinea, Solomon Islands to learn from Charlotte and the Global Sister executives. After the 5 day intensive business program, the women of each Asia Pacific region had a brand identity, viable concept and a suite of enterprise skills. As one of the top five global contributors to ocean plastic, Indonesia became a priority country to include in the Rogue Plastic agenda. 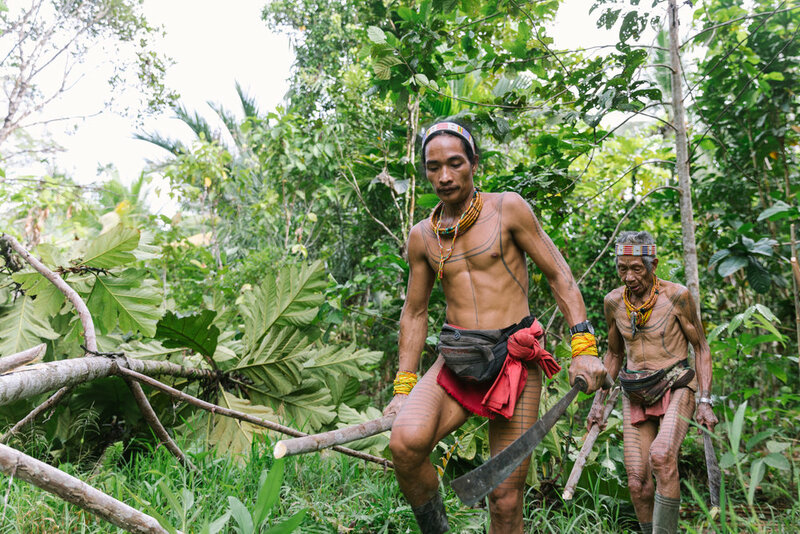 In 2017, VOPO Earth founders Charlotte Rose Mellis and Erik Sumarkho Spiniello were invited to meet with the Sikerei of Pulau Siberut and stay with their tribe in the untamed jungle. Since engaging over a dozen of the surf resorts in the Mentawai, meeting with local community, consulting with government and NGO’s across Siberut, Masokut and Sipura, we are into the second phase of our feasibility assessment to design and implement micro Waste to Energy systems to protect the Mentawai islands from land-sourced pollution leaking into the ocean. Invited to speak at ISWA 2018 in Kuala Lumpur, Erik Sumarkho Spiniello will represent the goals of VOPO Indonesia and lobby for corporate and governmental investment in remote, micro Waste to Energy systems to protect the health of South-east Asia’s oceans. Request to schedule a meeting with Erik at the event info@vopo.earth. See the ISWA schedule here. Working alongside As Worlds Divide director, Rob Henry, our team had an unforgettable time learning the local Mentawai language and ways of life, while devising an experience offering that will showcase this spectacular region to visitors, while protecting nature and funding the indigenous education programs of Mentawai Ecotourism and Yayasan Pendidikan. GinGin Surf Resort, recently acquired by MOJO Surf Camp invited us during the off-season to learn about their onsite waste water treatment system and develop a solution for effective management and low impact utilisation. During our time exploring the famous “Playgrounds” surfing destination, we discovered the epic potential for off-season free diving and critical reef regeneration programs. In 2015, VOPO started working with The Philippines in response to the country being identified as one of the top five ocean polluters. VOPO team members, Charlotte Rose Mellis and Jesika Ellul ran an initial Waste Awareness campaign in collaboration with remote communities of Palawan, onboard the Tao Philippines sailing voyage. The following year, VOPO Earth was invited back to The Philippines to run their first official Wilderness Impact Adventure in partnership with Danjugan Sanctuary. Due to the success of the Rogue Plastic program, our Philippines team have developed an annual summit event, bringing together global minds for an off-grid retreat, showcasing nature and talking all things sustainability. For those who have experienced VOPO Expeditions in Negros, there is no need for an introduction to this adventure! For others, the announcement of the new sailing journey, Earth Voyage should bring much excitement. Danjugan Sanctuary and VOPO are joining forces again, with SWEEP (Sea Waste Education to Eradicate Plastics) on a 9 night live-aboard ecological adventure that starts in Manila madness and ends in Danjugan Island for an off-grid celebration that funds conservation directly. We have created an inspiring wilderness space to collaborate with pioneers in sustainability from across Asia Pacific. VOPO Expedition, Negros presented one of the worlds greatest challenges in bite sized pieces during a curated, provocative journey through The Philippines. Critical data was captured, with government meetings and local community engagements providing opportunities for diverse minds to come together in building solutions. VOPO Philippines team members spent an unforgettable three weeks exploring The Philippines by boat, delivering workshops on sustainable options, especially for womens menstruation. Time was also spent providing donated textbooks, pens and resources to the school kids of Coron, with an emphasis on ecological conservation. This experience was the beginning of VOPO Expeditions. Co founder, Charlotte Rose Mellis was invited to speak at TEDx Papeete in 2017 by leaders in enterprise from across the Pacific. For years prior, the region of Polynesia had been a huge inspiration for the ethos of VOPO Earth. During the initial conference, the VOPO Earth team met with scientists, French business people and many local Polynesian community members. It became apparent that Tahiti and her Islands were both a source of inspiration and a place for contemplation about what works and what doesn’t. Particularly in the areas of human relationship with nature and the conversion of two disparate cultures as a unified entity. During the curated VOPO Expedition, French Polynesia 2018, a group of 8 sailed the remote atoll of Fakarava for uncensored discussions and a raw exploration of island life in the middle of the Pacific. The essence of “mana” was a topic of heightened conversation, leading participants to strip back the layers of scientific jargon to reveal purpose, spirit and the often neglected question, “Why?”. In 2017 VOPO Earth planted their very first coral with Moorea Coral Gardeners, inspiring the concept of 1 day eco-tourism adventures with our global guests. This has become a signature experience within the VOPO French Polynesia itinerary, where Coral Gardeners educate on the importance of reef systems, while participants immerse in the local way of life on Mo’orea and plant their very own adopted coral. Co founder of VOPO Earth, Charlotte Rose Mellis spoke boldly to the global online and French Polynesian local audience about the relationship between mental wellbeing and our changing environment at TEDx "Feuilles & Racines”. Representatives from across the Pacific included Hinano Murphy, Polynesian Cultural specialist, Jean-Francois Butaud, French Botanist, Pauline Sillinger, Sustainable Development Specialist, and Kara Dentice a Policy Advisor for natural resource management in Aotearoa (New Zealand). Members of the VOPO team first started working in the Solomon Islands during 2013. The rich landscapes and unadulterated jungles were alluring, but the tribal culture and unique archipelago geography created a fascination that is yet to waiver. After learning much about the infrastructure, economy and telecommunications (or lack thereof) systems, we felt compelled to explore challenges in the region around waste management. In addition to learning more about the resilience of micro-economies across the 900-strong island chain. A very special event, “Natures Leading Women” was a catalyst for a lifelong relationship, where Co founder of VOPO Earth, Charlotte Rose Mellis guided a team of Solomon Islanders from the Arnavon Marine Community through an initial eco-enterprise program designed with Global Sisters and supported by the Nature Conservancy. After extensive assessment, data collection and anecdotal input from local community, NGO’s, government officials and business owners, VOPO Earth have compiled a report that explores the feasibility and impact of eco-tourism and sustainable enterprise from cultural, economic and environmental perspectives. This report acts as a resource for ourselves, Arnavon Marine Community and KAWAKI women’s tribe to guide the priorities in the next phase of VOPO Earth Solomon Islands. Due for release March 1, 2019. Over a nine month period, VOPO Earth curated an unforgettable eco adventure with the Arnavon Marine Community and KAWAKI women’s tribe. VOPO Expedition, Arnavon 2018 lead a group of six guests intimately through the breath-taking islands off Santa Isabel, in the middle of the tourist-averse Manning Strait. 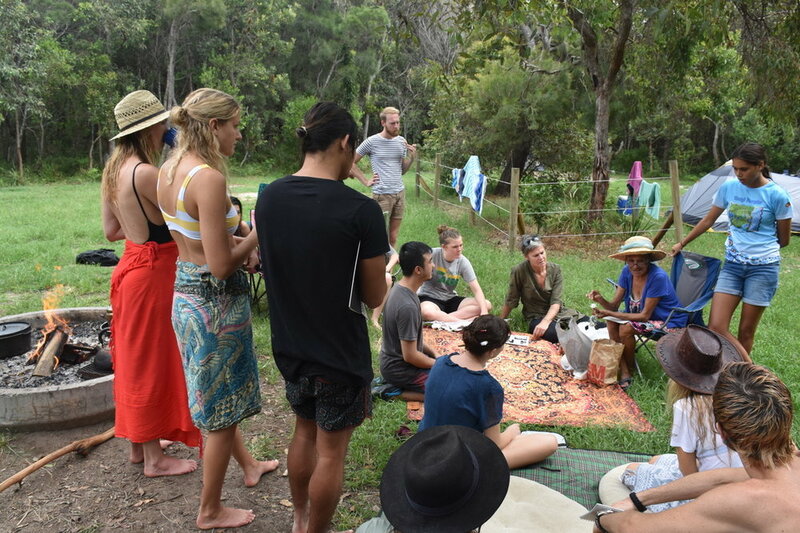 Facilitating significant workshop discussions between local community and global guests, the program was a testing ground for the development of an ongoing eco-tourism offering provided by VOPO Earth that provides income directly to locals.